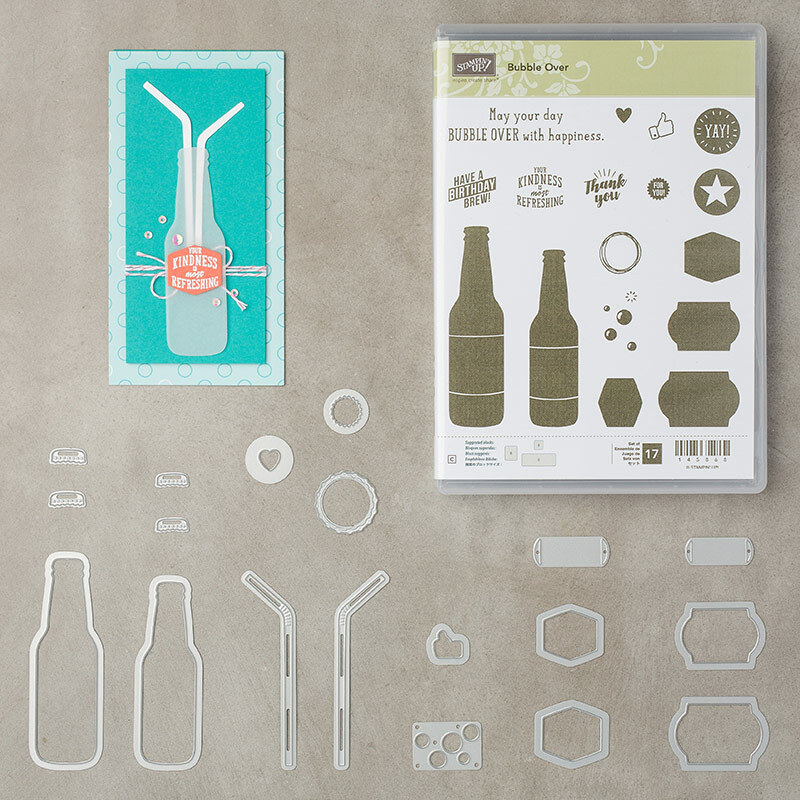 Hooray the weekend is finally here! For me, the weekend is all about not rushing around here there and everywhere, it's about enjoying family and relaxing, well as much as you can relax with a 5 year old with a busy social life and a 1 year old! This is the 3rd card that I made to showcase the Celebrate You Thinlits that are currently available for FREE when you spend £90 during Sale-a-Bration. You have 3 dies within the set, "Amazing", "You" and "Celebrate" and they are a great size for cards, scrapbook pages and paper crafting in general! The card base is made from Lemon Lime Twist Cardstock which looks so effective with the Monochrome look of the DSP (from the Petal Passion range). This colour is fast becoming one of my favourites. It is great for adding a real splash of bright colour to a project and it just makes me smile! I have cut a large scallop (from the Layering Circles Framelits) in Night of Navy Cardstock, and a Whisper White circle from the 2, 1/4" Circle Punch. I have taken the starburst image from the Amazing You Stamp Set, and stamped it twice onto the circle shape using Lemon Lime Twist Ink. I love the effect of a sunrise that it gives you. I have used the Tailored Tag Punch to cut out a piece of Basic Black Cardstock that I have added some Embossing Paste too over a mask from the pattern Party Decorative Masks and left to dry. The circle that is stuck to this shape has been cut out using the 1" Circle Punch and some Silver Glimmer Paper. 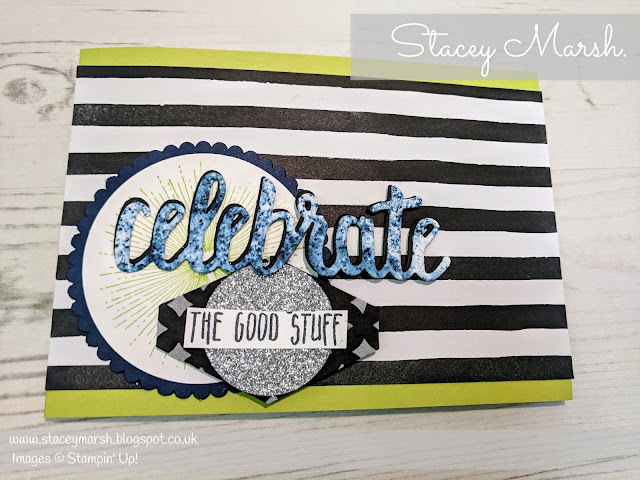 I have stamped the sentimed "Celebrate the Good Stuff" onto a piece of Whisper White cardstock using Tuxedo Black Memento and cut out "the good stuff" and attached over the top of the silver circle to finish. 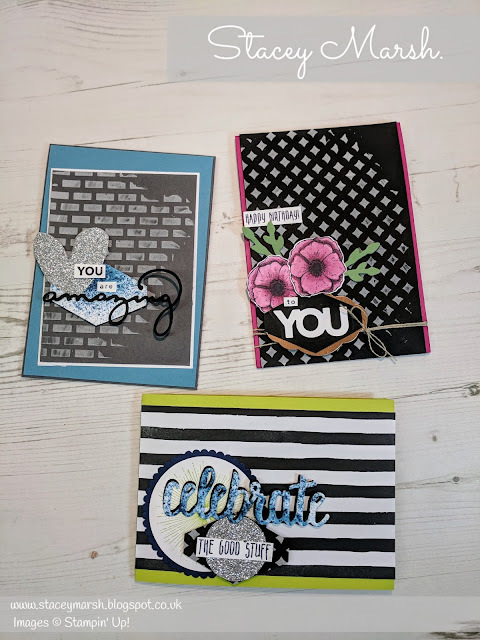 I really enjoyed making all 3 of these cards and I will definitely be using the Framelits alot! 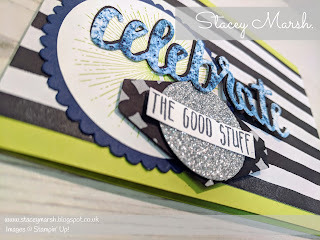 And it was also great fun having a little play with the Embossing Paste. The photos don't really do the cards justice but the textures really do set these cards off! 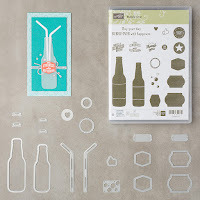 Looking forward to some crafting time tomorrow hopefully, and I am so excited to have a play with the Bubble Over suite of products!